It is typically an application which helps to retweet, favorites, on the basis of hashtags and replies to other users if they follow it. In our case, we'll be listening for someone to tweet with a certain hashtag and then retweet something when that happens. 3. Should be familiar with command-line tools for your operating system. Go to the Node.js website and download the LTS (long-term support) option according to the OS support. After it downloaded, run the installer process until the end. It will also install the NPM for you. To confirm that you have installed the process properly, open Command Prompt (For Windows) or Terminal (For Linux, Mac). Run the following commands - node -v and npm -v.
Create a folder and inside that folder initialize it with npm init command. Once that is complete, you should see package.json and to simplify our interactions with the powerful Twitter API, we will install twit named module using npm install twit --save. 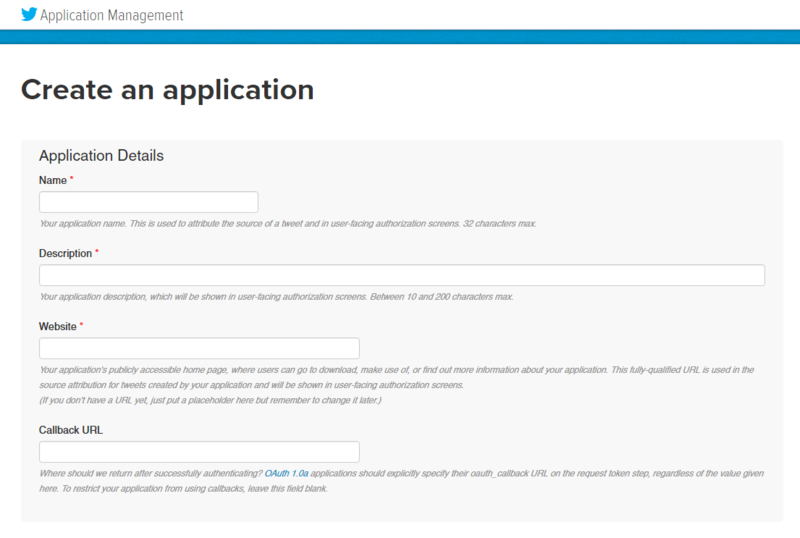 After that give your application a name, description, website (it can be anything really), check the checkbox, and hit "Create your Twitter Application". Once created, head to your bot from this page (https://developer.twitter.com/en/apps) and then click on the tab that says "Keys and Access Tokens". With all the information you need from Twitter on-hand and must agree to the Developer Agreement. After that, we can begin coding! // It will authenticate the twit credentials whether it's valid or not and streams for filtering the events. // Here we are connecting to user endpoint because this event will only affect as a user for which we made for this example. // When a follow event triggers, it fires the onFollowed function. Inside it, we extract the information that we know we will need which is the user's name and screen name, or Twitter handle. // We just have to call the post method on the event statuses/update on our twit instance, tell it what we want to post (in this case, a tweet/status). Start the Bot using npm start or node index.js command and want to know about statuses/update, you can refer to https://developer.twitter.com/en/docs/tweets/post-and-engage/api-reference/post-statuses-update. 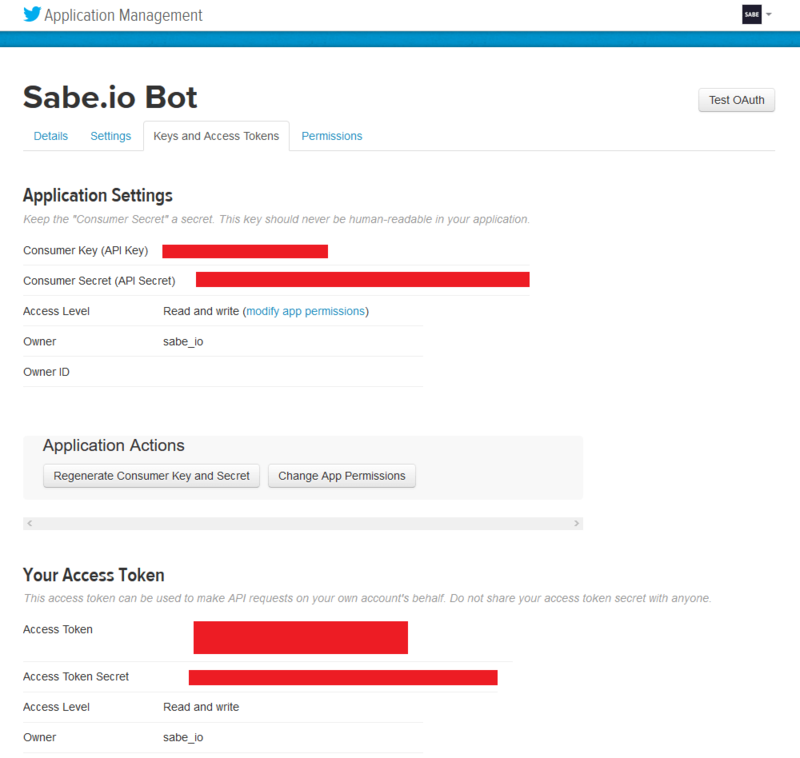 In this Blog, we have seen how we can use Node.js and the twit module to create a simple Twitter bot that automatically responds to users that follow an account. We can do much more than simply tweet out, including retweeting and liking other tweets. You can refer more about this module at - https://www.npmjs.com/package/twit. Thanks for reading and Let me know if any Suggestions!